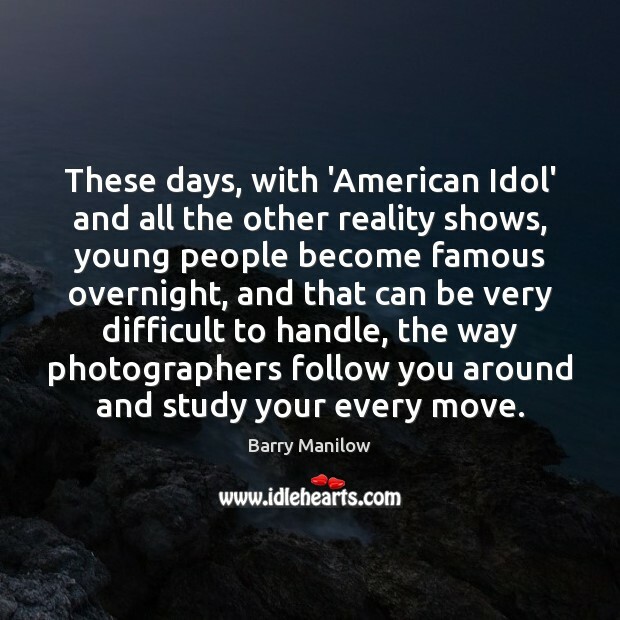 Quotations about American Idol. Quotes to stimulate mind and drive action! Use the words and quote images to feed your brain inspiring things daily! I'm cute - and God I hate that. Because that's not cool. I'm like your niece, and nobody wants to date their niece. It's the chubby cheeks. The whole reason people voted for me on American Idol is because I'm an everyday, normal girl. I think America did a great job. 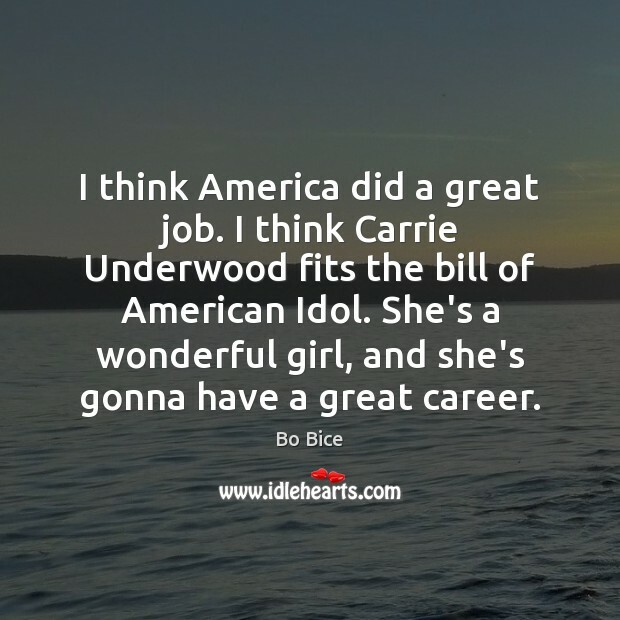 I think Carrie Underwood fits the bill of American Idol. She's a wonderful girl, and she's gonna have a great career. 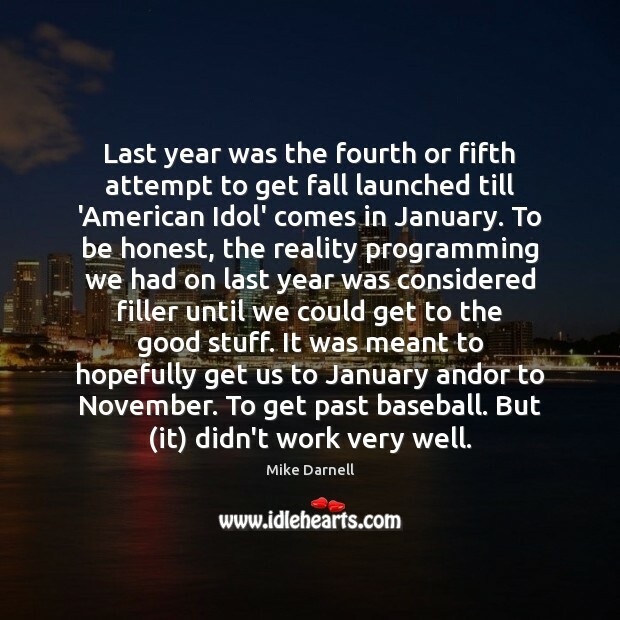 Last year was the fourth or fifth attempt to get fall launched till 'American Idol' comes in January. To be honest, the reality programming we had on last year was considered filler until we could get to the good stuff. It was meant to hopefully get us to January andor to November. To get past baseball. But (it) didn't work very well. 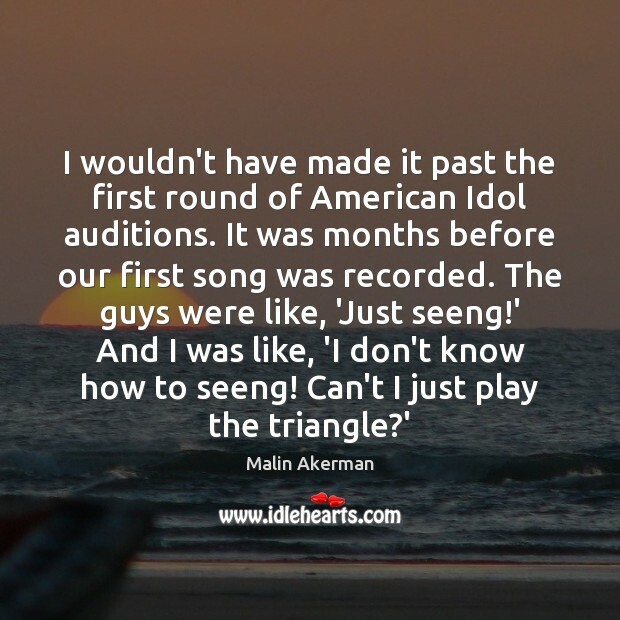 I'm a big 'American Idol' watcher, and sometimes I like to watch 'America's Got Talent.' Those are big, corny admissions, but sometimes it's so fun to see those kids really sing their hearts out. 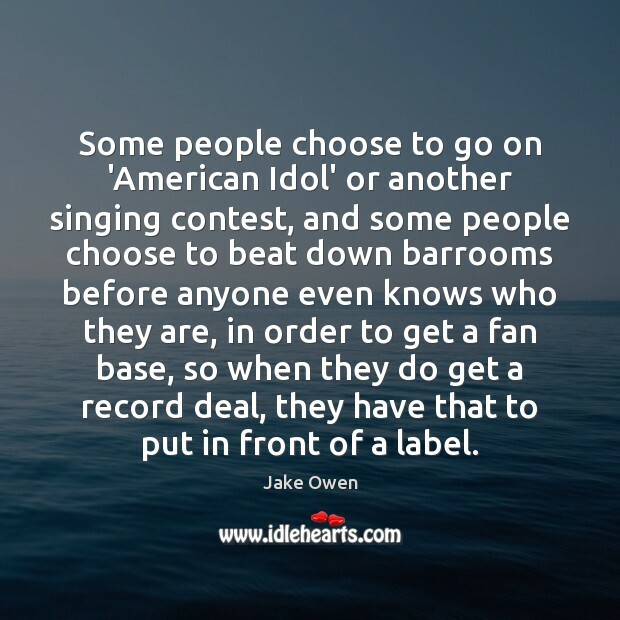 Some people choose to go on 'American Idol' or another singing contest, and some people choose to beat down barrooms before anyone even knows who they are, in order to get a fan base, so when they do get a record deal, they have that to put in front of a label. 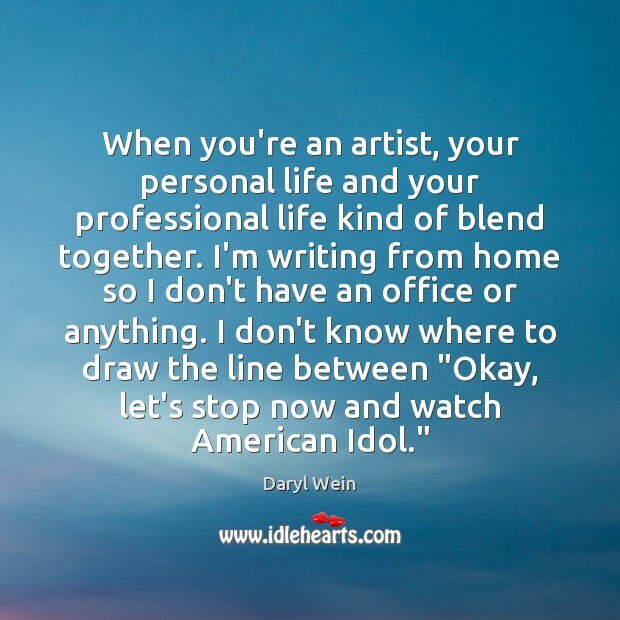 When you're an artist, your personal life and your professional life kind of blend together. I'm writing from home so I don't have an office or anything. I don't know where to draw the line between "Okay, let's stop now and watch American Idol." 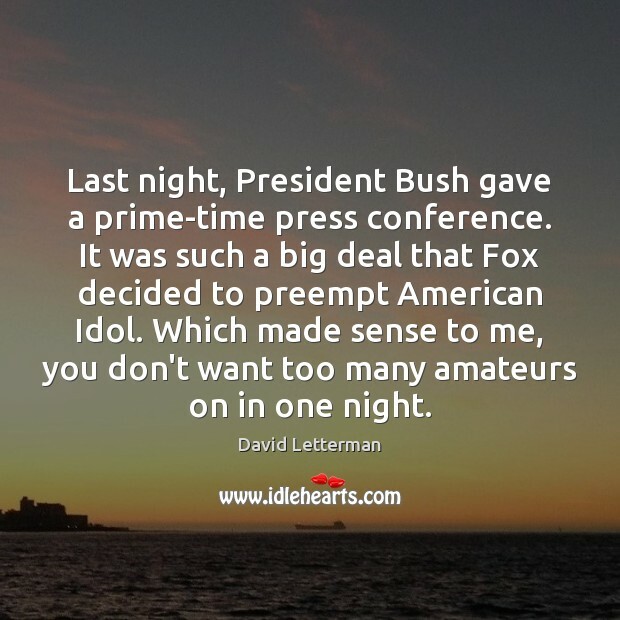 Last night, President Bush gave a prime-time press conference. 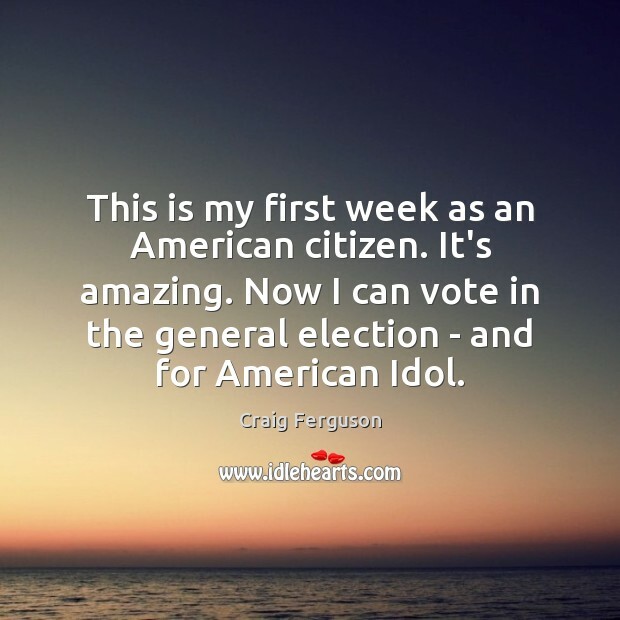 It was such a big deal that Fox decided to preempt American Idol. Which made sense to me, you don't want too many amateurs on in one night. I watch 'The Voice' and 'American Idol,' and I sit in my Brookstone foot massager. It's so exciting at my house. 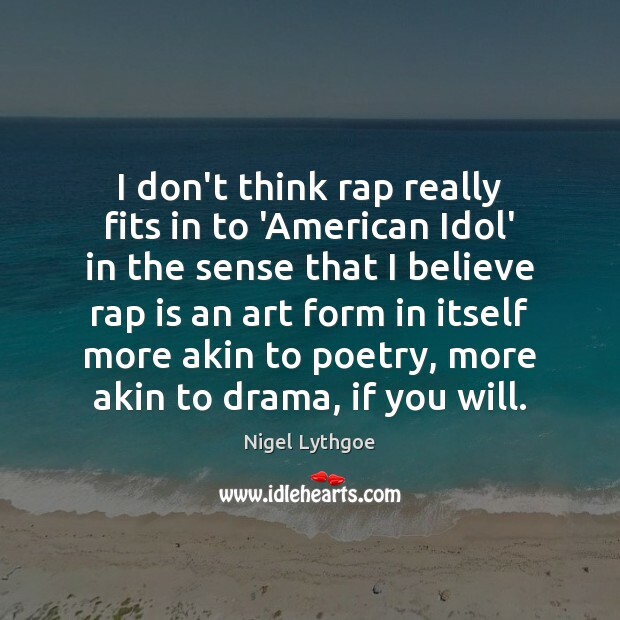 I don't think rap really fits in to 'American Idol' in the sense that I believe rap is an art form in itself more akin to poetry, more akin to drama, if you will. 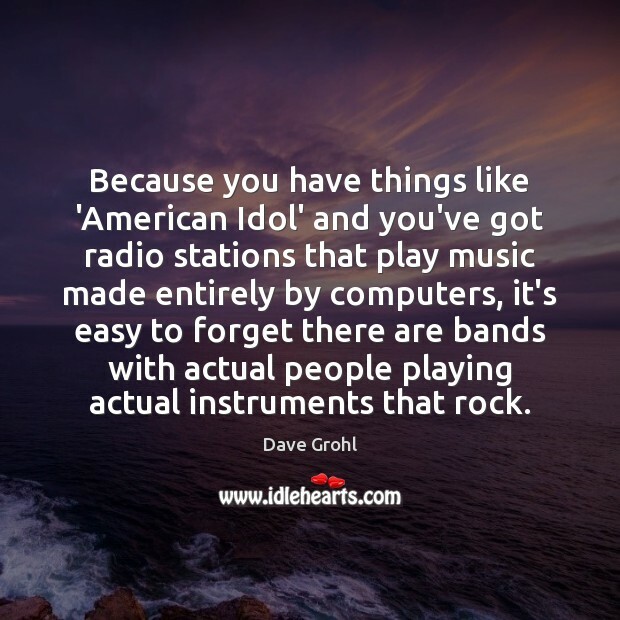 I've never watched an entire episode of American Idol. It's too mean. Why would anyone want to go on a show to be ripped apart? 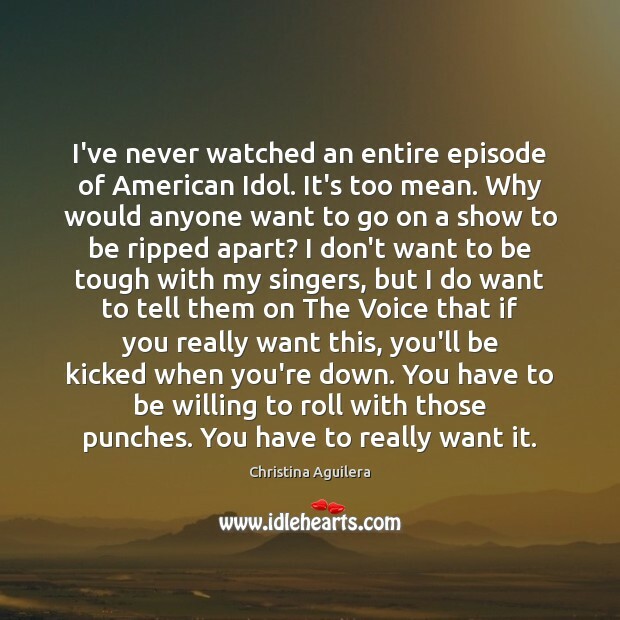 I don't want to be tough with my singers, but I do want to tell them on The Voice that if you really want this, you'll be kicked when you're down. You have to be willing to roll with those punches. You have to really want it. 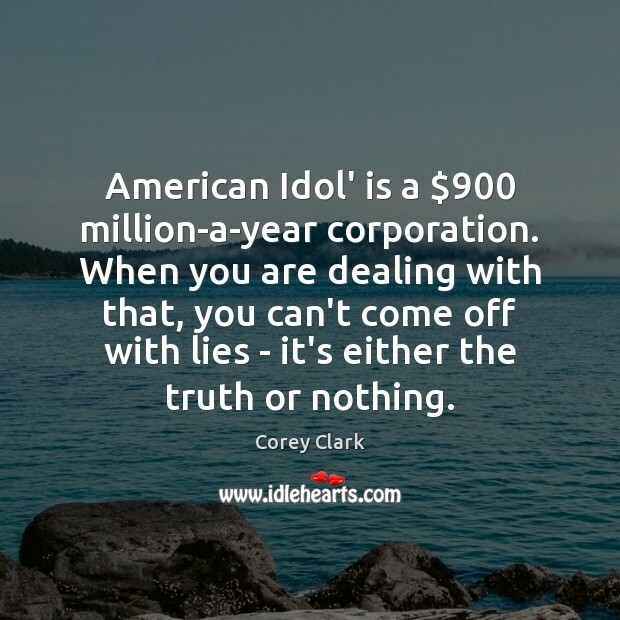 American Idol' is a $900 million-a-year corporation. When you are dealing with that, you can't come off with lies - it's either the truth or nothing. This is a frightening statistic. 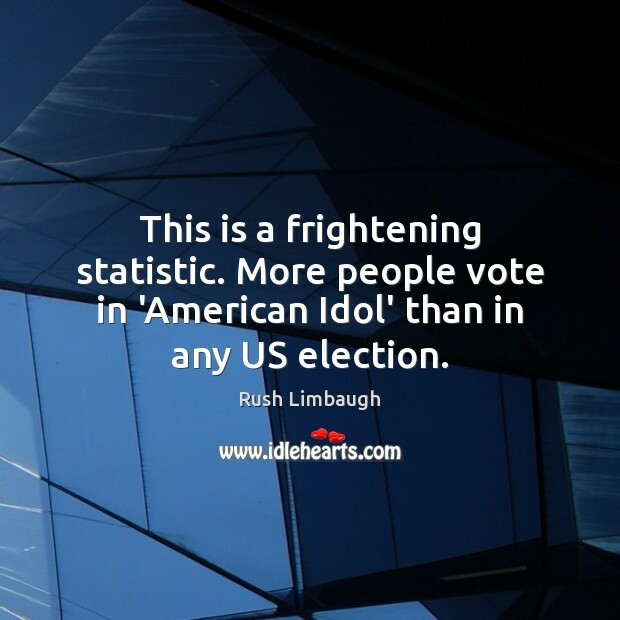 More people vote in 'American Idol' than in any US election. 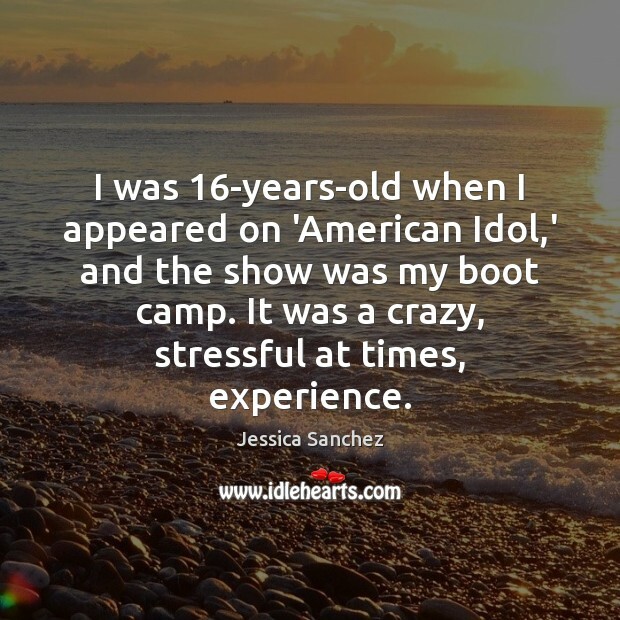 I was 16-years-old when I appeared on 'American Idol,' and the show was my boot camp. It was a crazy, stressful at times, experience.